When most think of the trends and icons of the 70s and 80s, they think of mullets, upbeat music, and David Bowie. On Jan. 10, the world lost this legendary musician to an 18-month battle with liver cancer. Bowie gained popularity in 1969, when he adopted a fantasy-like sci-fi character named “Ziggy,” during his release of Ziggy Stardust. It was at this time that the lightning bolt that was frequently drawn on the side of Bowie’s cheek, and his flaming orange hair became iconic. Later Bowie starred in The Man Who Fell To Earth in 1976, portraying an alien. These are just a few of the accomplishments that Bowie achieved throughout his lifetime. “David’s death came as a complete surprise, as did nearly everything else about him. I feel a huge gap now,” said Brian Eno, a close friend to Bowie. Bowie chose to keep his condition a secret, even to his closest friends. Bowie battled liver cancer fiercely for 18 months, even working and writing the script for his off broadway musical Lazarus, until his death. Bowie was married to model Iman, and has a son named Duncan. “Sometimes you will never know the true value of a moment until it becomes a memory,” Iman posted on Instagram. The English singer, performer, and artist gave the world a lasting impression after selling over 140 million albums and having influenced various other artists. “David Bowie was one of my most important inspirations, so fearless, so creative, he gave us magic for a lifetime,” wrote Kanye West on twitter. 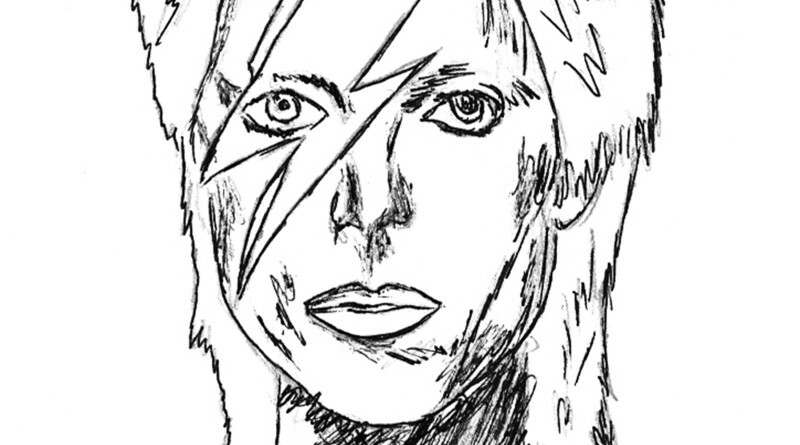 Bowie will be remembered, missed, and will most of all remain an icon for artists now and in the future.